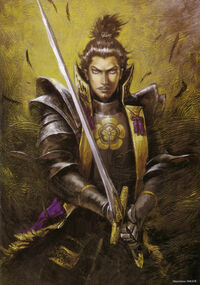 Nobunaga is an eccentric conqueror who believes he has the heavens on his side. Threatened in his home territory by the invading Yoshimoto, he lures his target to attack him. Leading an ambush during a fierce rainstorm, Nobunaga beats the odds and slays his stronger opponent at Okehazama. With this momentum, he leads a campaign to conquer the neighboring domains around his home. His greatest threat at present is the Ikko Rebels, who defy him at Ise-Nagashima. He tells his army to completely obliterate the peasants who raised their arms against him.